We are extremely are proud of the work we do and we aim to leave all clients with a brilliant end result. Below are some of our testimonials and references from our customers over the past few years. Standard of clean far surpassed my expectations. Brought a new life to a carpet we were considering replacing. Gareth arrived promptly, was accommodating and did a very good job. Thank you! Gareth asked me if i’d send some feedback with regards to having my carpets cleaned by him for the past few years. I have used this company for a number of years to clean my carpets and upholstery and have always been delighted with the results, they are both highly efficient and offer a fantastic service. Previous to using them i used a few other local companies but never had the same cleaning results, i have and will continue to recommend them to friends and family. delighted with the service we received from Quality Carpet Cleaning Gloucestershire with regards to having our carpets cleaned, they did an outstanding job both in our elderly residents appartments and in our communal areas, they were both curteous and efficient. many thanks britannia for a job well done. Gareth did a fantastic job of my carpets. I recently had a load of work completed on my house which left my white and cream carpets looking in a somewhat bad state. Gareth came all the way over to the Forest of Dean with the Truck Mount machine and I was amazed with the job. Because I work in the day I left Gareth to do the job and when I returned I was delighted. The results honestly are amazing. 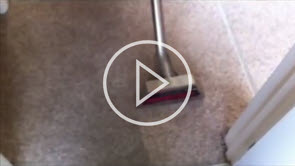 We have been using Quality Carpet Cleaning Gloucestershire for the cleaning of our shop carpets for the past 6 years. During this time they have provided excellent quality service to our complete satisfaction. We have found their staff reliable, courteous and efficient. To Gareth, Thank you so much for the wonderful job you did at our home. Brilliant job and we are so grateful. I use Quality Carpet Cleaning Gloucestershire on a regular basis for both Business and Domestic cleaning purposes, absolutely faultless in both workmanship and integrity, would recommend to anyone. Just had my sitting/dining room carpets clean – and what an amazing difference. They really are like new! We’ve only got a tiny hall so shoes are almost straight into the rooms – plus french windows to the garden (two) – so traffic is very heavy. I just cant get over how wonderful they look. Will definitely be using again – certainly once, if not twice, yearly. Cannot recommend them enough. Came on time, no mess, job done, courteous service – and all for a small fee – and a cup of tea! I had my carpets cleaned by you yesterday and I just wanted to thank you for a really excellent job. I have had them cleaned twice before over the last 2/3 years and there is no comparison. Your process and the thoroughness of the gentleman who did it were exemplary and the results terrific. Please feel free to quote me. *These prices are based on an average room size and a minimum £50 order per visit.